If you’re excited by the idea of Exeter Maths School, but you live beyond the range of a practical daily commute, it’s worth considering our Weekly Boarding option. 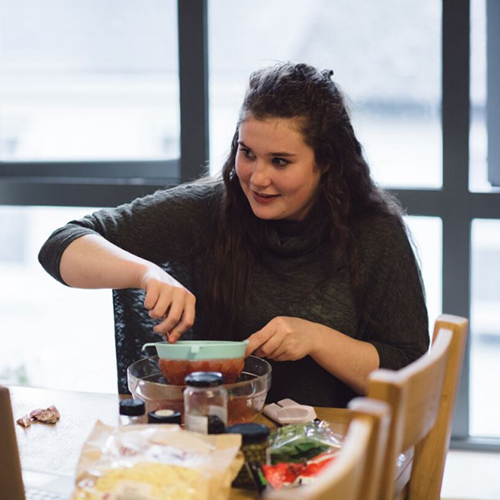 Every year students from North and West Devon, Cornwall, Somerset and Dorset stay over and – judging by the feedback – really enjoy building their independence and learning new skills such as cooking. EMS boarders are guided and looked after by our dedicated pastoral and accommodation tutors who really understand what it’s like living in a city away from home. They are brilliant at combining a welcoming and sociable atmosphere with the hard working ethos of Exeter Mathematics School. We prioritise accommodation for students that have a daily commute of more than 1 hour each way. Students are able to live in Exeter from Monday to Friday during term time, going home each Friday afternoon to spend the weekends with their families. There is a charge for accommodation. We have a bursary fund to ensure that students from low income families are assisted to help meet this cost. If you would like to access accommodation please indicate this on your application to the school. Following the entrance test, if you are still being considered for a place at EMS, we will contact you with more details and will ask you to indicate which of the two options you would prefer. We highly recommend that all students with over a 1 hour commute each way consider applying for accommodation. A deposit will be required to secure a place. 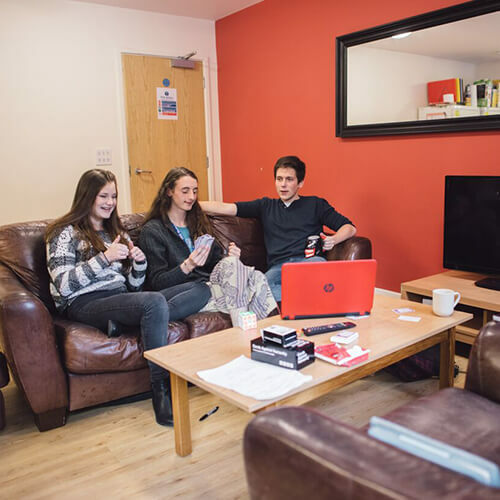 One of the great benefits of accessing our accommodation is that students are able to manage their work well during the week and protect their weekends for quality time with family and friends. The support they receive from staff and one another enables them to make excellent progress in their studies. On average, EMS students make better progress than expected based on their GCSE results, so much so that we consistently achieve progress scores that place EMS in the top 1% of all post-16 providers. This impact is even greater for students in accommodation, who on average make progress that is significantly better than their peers who have a daily commute. In September 2018 OFSTED judged our provision to be Outstanding in all categories. The inspection took place with almost no notice – the school was telephoned in the morning and the inspectors arrived at lunchtime. They spent three days reviewing our policies, talking to students, parents and staff, scrutinising our recruitment of staff and thoroughly checking our safeguarding procedures. They spent time with students in our accommodation and attended a meeting of governors. Inspectors were particularly impressed by our students, their relationships with staff and one another, and with the support that we offer. Some highlights are below and the full report can be accessed via our “Ofsted and Results” page. Inclusivity, mutual respect and equality are convincingly embedded into practice and seen throughout the provision. Support provided to students is personalised from their first initial meetings with staff. Uniqueness is valued. The service provided is bespoke, and students make life-changing progress. 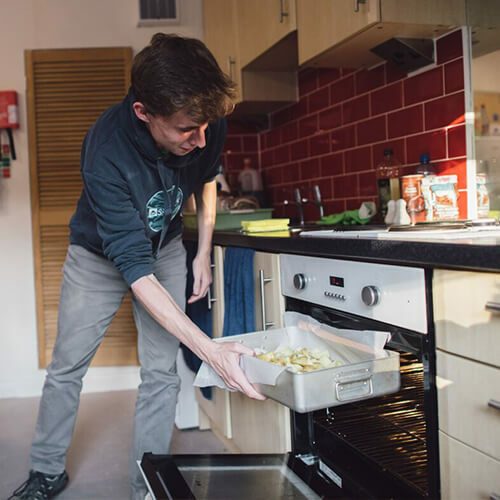 Students who stay in the residential provision develop practical independence skills (particularly around food preparation and cooking), self-reliance and interpersonal skills, which increase their confidence and self-esteem. Staff and students work in partnership producing an environment where students thrive academically, socially and emotionally. Overwhelmingly positive feedback has been received from both current and previous students, who cite numerous examples of the difference the school has made to increasing their confidence, reducing anxiety and valuing their unique skills, while also ensuring that they make friends. Leaders and managers are inspirational. They lead by example and make decisions that are informed by research, experience and from meaningful consultation with students. Staff know students well and identify subtle nuances in behaviour or attainment and provide the right support and guidance. 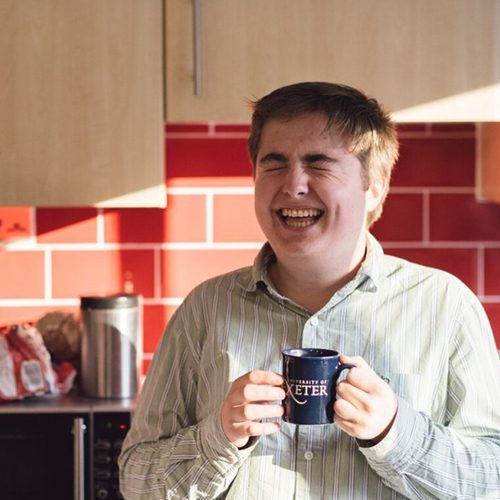 Residential students succeed very well because of the bespoke support that they receive for their social and emotional needs. We have a team of dedicated pastoral staff that ensure students are cared for and supported as they transition towards independent living. Our core residential team consists of three Pastoral Accommodation Tutors (PAT), Grace, Bill and Carly, who live onsite alongside our students. Whether it’s teaching students to cook, encouraging them to clean their room or just having a chat about how things are going, Bill, Carly and Grace are always on hand. Grace is our Lead Pastoral Accommodation Tutor. She ensures the smooth running of accommodation, supporting Bill and Carly to provide outstanding care and support. Joe, our deputy headteacher, is responsible for student wellbeing and supports Grace in leading the residential provision. There are always two members of staff on duty and students and parents are able to contact them direct by email or telephone. You can find out more about our pastoral team by reading their staff profiles here. Students live together, from Monday to Friday, in supervised accommodation. Each student has their own en-suite bedroom that includes a bed, wardrobe, desk, shelving, pin board, shower, toilet and sink. The accommodation is loosely arranged into blocks of flats with an open-plan living room/kitchen-diner for every six bedrooms. Most students chose to bring their own bedding and personalise their rooms but this can be supplied by the school. Kitchen and dining equipment is all provided by EMS but students bring their own toiletries and towels. The ingredients for breakfast and evening meals are provided each day and students have access to facilities to prepare their own lunch should they wish to do so. They are encouraged to develop independent living skills, for example, each taking it in turns to cook an evening meal. All students complete a food hygiene certificate during year 12. Staff support students to enable them to manage cleaning rotas, plan meals and look after themselves. By the time they leave the EMS accommodation they should be fully equipped to fend for themselves at University. Our aim is for students to have a home from home existence. There are televisions, board games, books and wifi provided along whit the possibility for students to provide computer games and other entertainments. A range of extra-curricular activities, including sport, music and drama, is available through Exeter College. the College gym is open every morning before school and every evening. Other activities are available, such as you would expect from a small, vibrant city. Further details are contained in our Student and Parent Guide to Residential Accommodation. There is a great atmosphere, the staff aren’t teachers so it is easy to talk to them. It is very close to school which is convenient. Having three kitchens means there are a variety of meals to choose from or I can always cook something myself. Alex, year 13. Accommodation has helped me to make friends that are like a second family to me. Hattie, year 13. We recognise the importance of a healthy, balanced diet to enable students to thrive both physically and academically. We are equally committed to support students as they learn important life-skills such as cooking. For these reasons we ensure all students have access to healthy ingredients to enable them to prepare a range of meals. We also structure the preparation of food to provide them with experience of planning and preparing meals for themselves and others. Students prepare their own breakfast and are expected to clear up behind themselves. They access to a range of healthy options that include: a range of cereals, bread for toasting, spreads for toast, milk, fruit juice, fresh fruit, yoghurt, tea, coffee. Staff are available to provide support and supervision for those students that need it, particularly at the start of year 12. Students make their own arrangements for lunchtime. There’s plenty of space for them to store their ingredients should they wish to prepare a packed lunch. The main school also has microwaves and boiling water available for those that wish to bring something to school that requires a little preparation. All students cook for one another on a rota basis. There are always at least three options available to cater for different dietary requirements and we have the flexibility for students to prepare an alternative meal if none of the main options are suitable. Staff support students as they learn to cook, providing tips, advice and encouragement. During their first year with us, students work towards a Food Hygiene Certificate and by the end of year 12 should be confident and safe working in a kitchen. The menus for each week are decided by the students: each lead-cook submits their recipie the week before they are due to cook. Staff order the ingredients and take delivery of them on Monday morning. We’ve created our own recipie book to provide students with some ideas of meals that are nutritious and reasonably straight-forward to create. Students are encouraged to add to our collection and/or cook using recipies of their own. Weekly menus are displayed in each kitchen. Below is a sample. We have a range of food available for students to have or use to prepare their own snacks. They are also welcome to bring their own snacks – there’s plenty of space to store them either in the kitchen area (labelled) or their own room. We adapt our provision to meet the needs of each cohort of students and encourage students and parents to make us aware of specific needs, early in the application process. If we are able to make adjustments to enable students to attend, we will do so. The examples below illustrate this but are by no means a comprehensive list of provision. Our support for students with specific needs is integrated with practices in the main school. For example, a dyslexic student that finds organisation difficult may agree a study timetable with their form tutor and then have support from pastoral staff to implement their plan. More information about our whole-school approach can be found on the page “How we look after students“. We have a means-tested bursary scheme to enable students from all backgrounds to attend the school. The maximum amount paid by families in the year 2018/19 is £9800. Students coming from households with incomes of less than £16,190 that are entitled to Free Meals are considered exceptional cases and will receive a full bursary, meaning they will pay only a nominal contribution towards accommodation. Those from families with household incomes below £25,000 will receive the maximum level of bursary funding, resulting payments of less than £300 for accommodation (£1000 when food is included). Those with household incomes above £25 000 will be means tested for bursaries. A copy of our full policy can be found here.